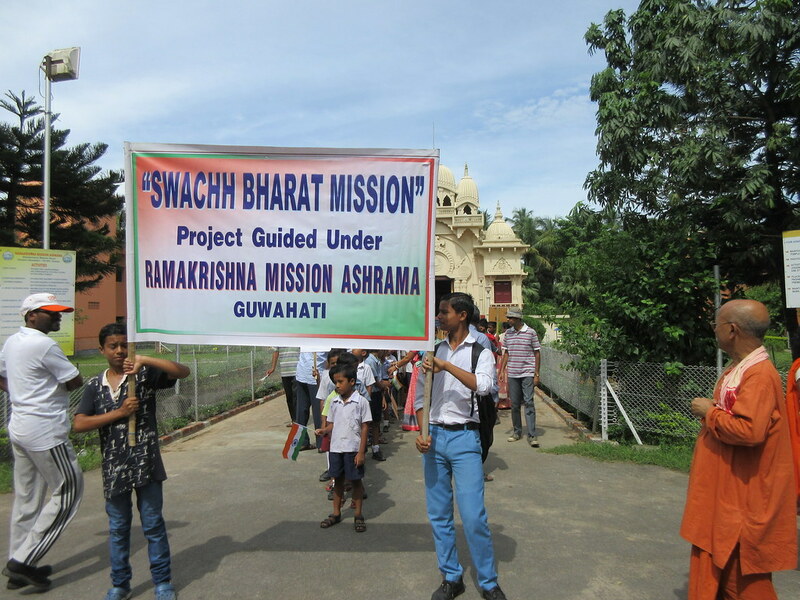 Ramakrishna Mission Ashrama, Guwahati, conducted Swaccha Bharat Abhiyan (cleanliness drive) at Aravinda School Campus on 15 August, 2018. 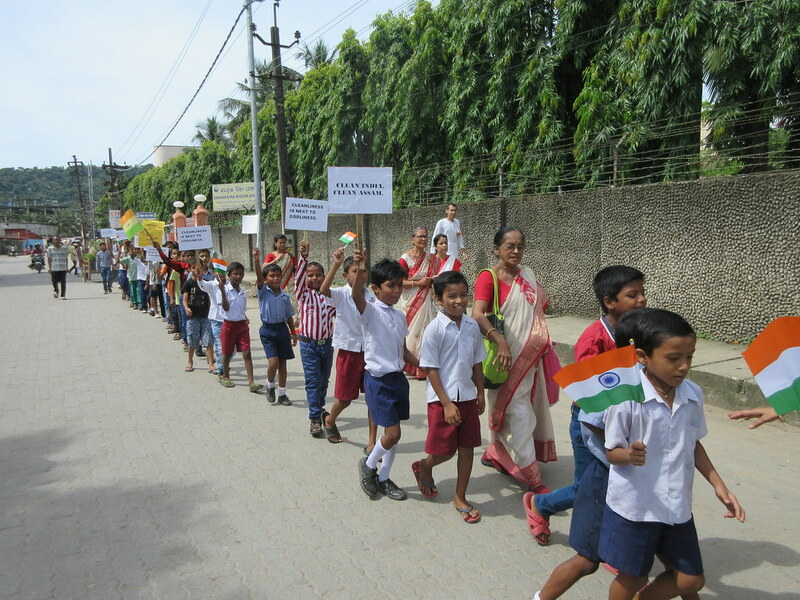 In this programme about 75 participants comprising 15 volunteers, 20 devotees, 40 GAP students and students of our hostel participated. 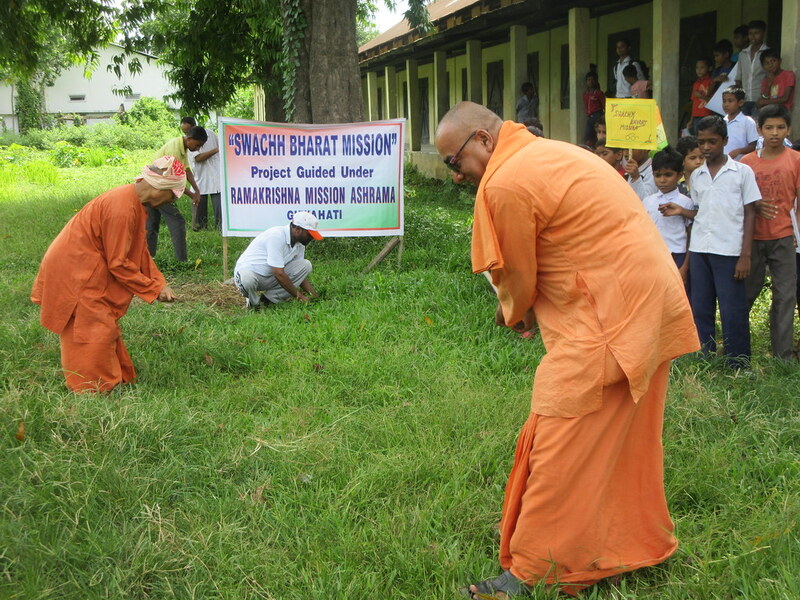 The school campus was cleaned and trees were planted inside the school premises.